At the beginning of the month, I announced that I would be hosting the April edition of Food 'n Flix with my choice, one of the most celebrated food movies in the past 30 years, the first (and only?) "Ramen Western"—Tampopo. I actually watched it for the first time myself this month, and while ashamed to admit that fact, am so happy that I finally did. There's not a moment in the film that doesn't center around food and its relationship to life. That said, we had a small turnout this month, and the participants other than myself, were split evenly down the middle in terms of liking and not liking the film. It is a real Japanese comedy with subtitles, and that particular style is not for everybody. 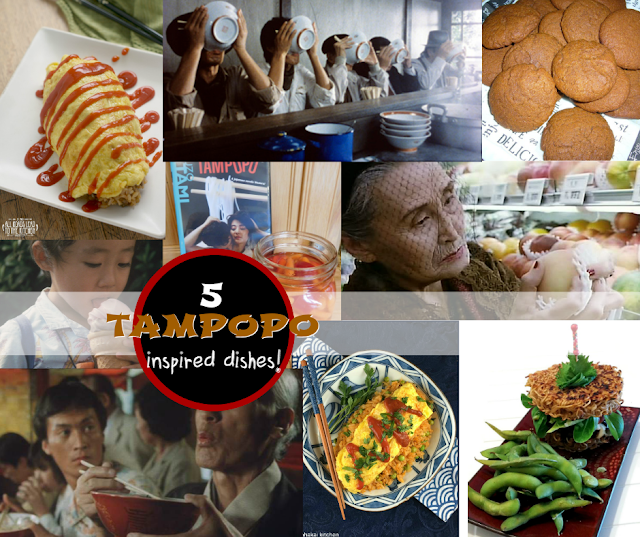 If you find yourself wanting to know more before you go in, or just wanting a bit of a break-down, I hope you'll take a few minutes to read my overview of Tampopo (because I often think it's helpful to go in with a bit of background). A huge thanks to everybody who participated this month, especially if it wasn't your cup of tea. That's one of the things I love most about this club is that it's about the food and being able to put everything else aside and draw inspiration from the material (because obviously we're not all going to have the same tastes). 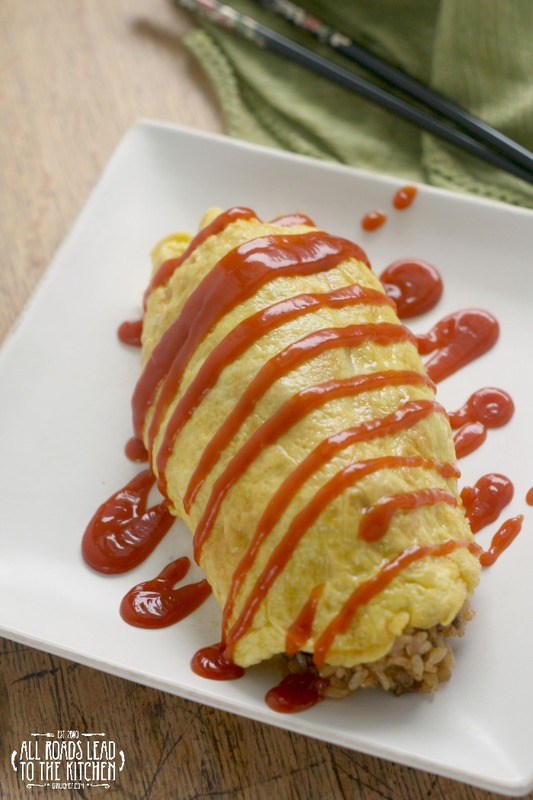 So, while we may be a small group this month, we still have some delicious dishes to share. And much to my (and probably everybody's) surprise—there was not a single bowl of ramen in the pack. Kimberly from Coffee and Casseroles swore to me that she was not going to make ramen this month, and she held true to that by making these Gingersnaps! Be sure to drop by and check out the 2 scenes that inspired the creation of these cookies (fun and creative, as always). 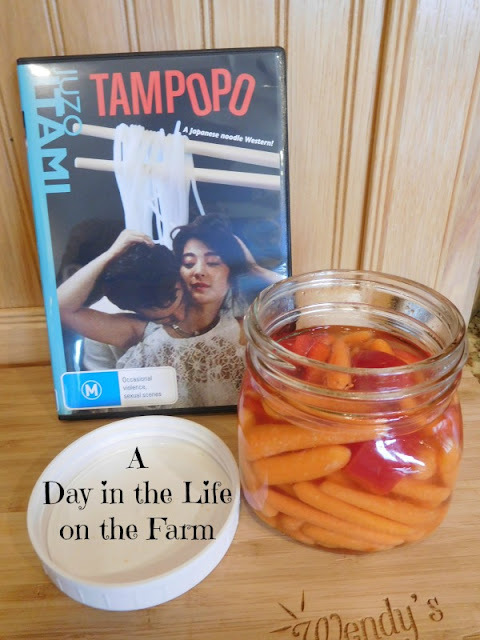 While our main character may not have been able to make a good bowl of ramen at the start, she could make something well, and Wendy from A Day in the Life on the Farm used that scene as inspiration (and namesake) for her Dandelion Pickles. 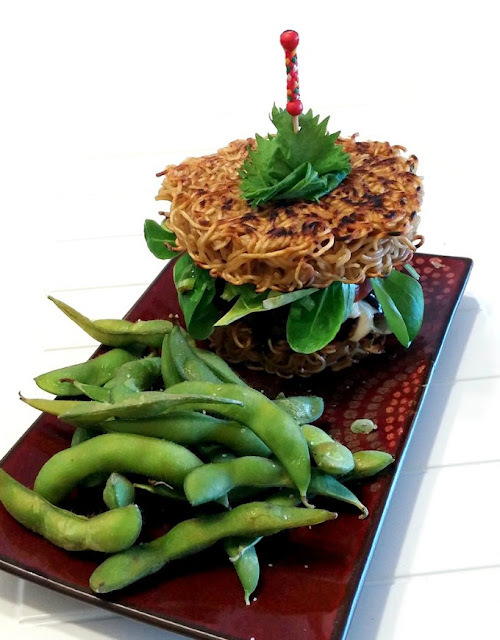 I mentioned that nobody made a bowl of ramen, but Evelyne from CulturEatz did use noodles to make a Ramen Burger with Teriyaki Sauce, her fun "twist on the American standard"! Deb from Kahakai Kitchen drew her inspiration from the scene where a homeless man expertly makes Tampopo's son a popular western-style Japanese dish, Omurice (Japanese Rice Omelette) with Curry Ketchup. 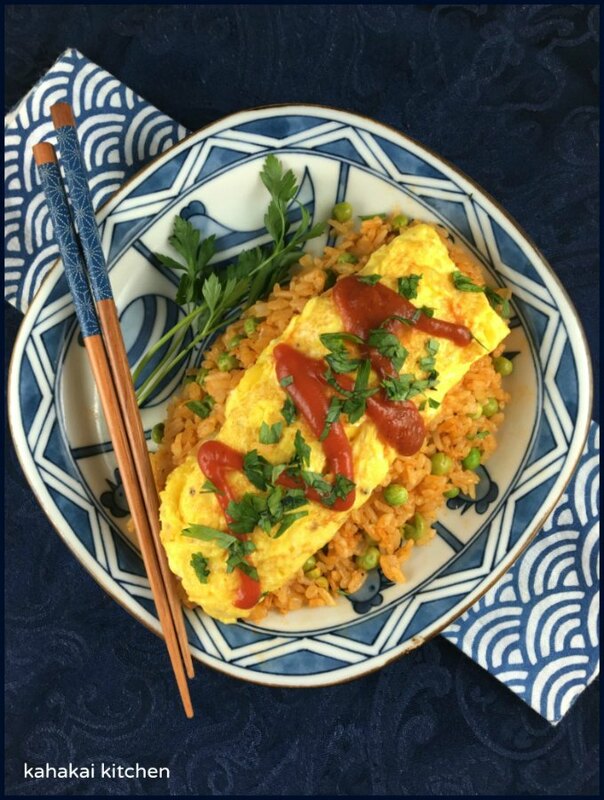 And closing out the roundup is my version of Omurice (Japanese Rice Omelet)...because after 5 1/2+ years, Deb and I were bound to make the same dish sometime (she's been with Food 'n Flix from day 1)! That scene was one of my favorite from the movie. I hope you'll join us next month over at Coffee and Casseroles where Kimberly will be hosting Food 'n Flix with her movie pick (another oldie but goodie), The Witches of Eastwick!